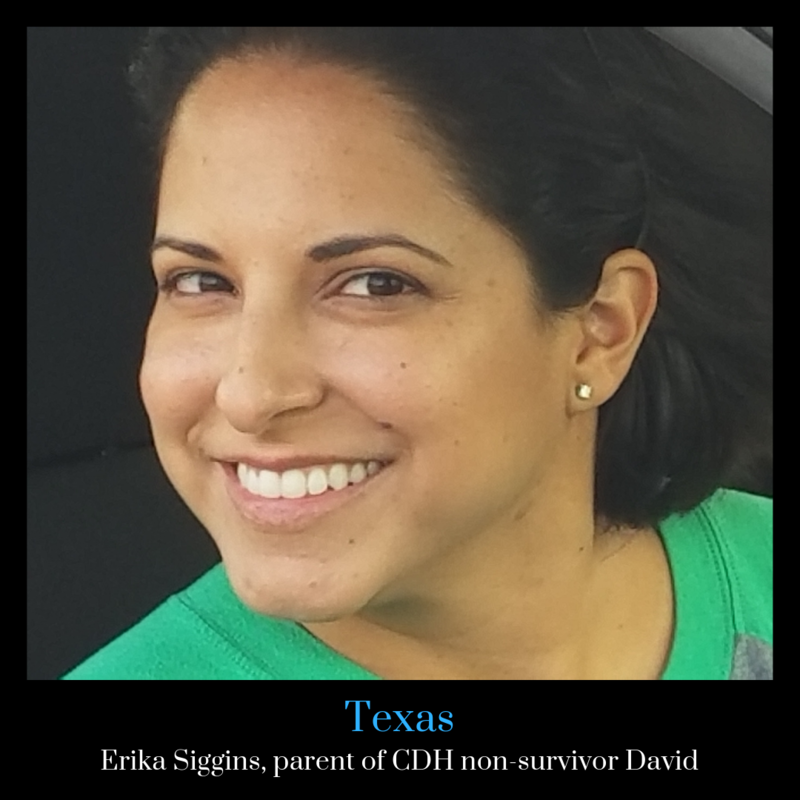 We want to introduce you to CDH International’s Texas Ambassador, Erika Siggens. Erika is the mom to cherub angel David. Erika is originally from south Florida but grew up in the Dallas / Fort Worth Metroplex where she received her Bachelor’s Degree in Geography from the University of North Texas. She also has a Master’s Degree in Geography from Florida Atlantic University. Erika is a Geospatial Information Systems Coordinator for the Federal Emergency Management Agency at the Region 6 Federal Response Center. She has been with FEMA for almost ten years. When Erika isn’t doing disaster work to help survivors she loves spending time with her nieces and nephews. She also enjoys traveling and photography. Only 42 minutes after he was born in October 2014, Erika lost her son, David, to CDH. He lives on through her, and her biggest hope is for a future where no mother and child are torn apart from CDH. She wants to do her part in helping make this happen, and support any families hurt by CDH before her dream can become a reality.